When looking at the history of the WAVES, and Navy women’s firsts during Women’s History Month, one can’t ignore the contributions of the World War I Yeomen (F). The Yeomenettes (as they were known) were the first women to serve in the Navy in a position other than nursing. They did a wide variety of work in the Navy, from clerical jobs to translations to fingerprinting and ship camouflage design.They were allowed in because of a loophole in the Naval Act, which never indicated that Naval service was limited to men. Loretta Perfectus Walsh was the very first Yeomanette. 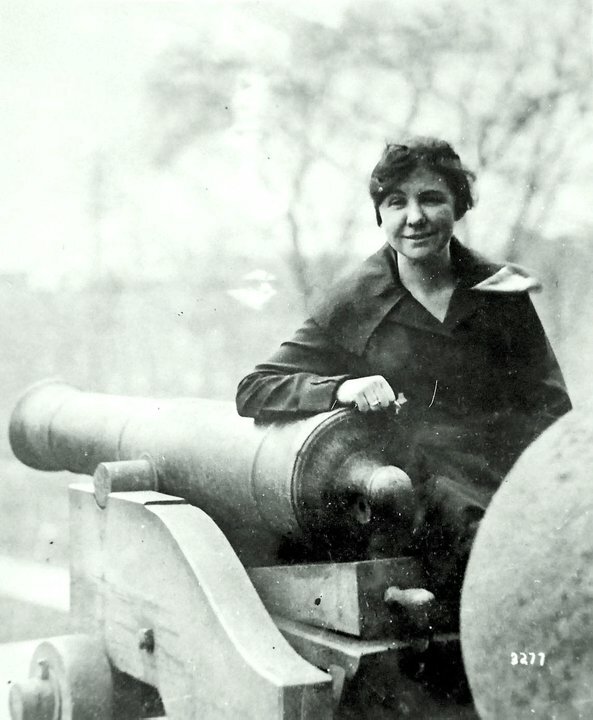 She enlisted on March 17, 1917 at age 18. She became the first woman Navy Petty Officer on March 21st of the same year. About 13,000 women were WWI Yeomanettes. This photograph comes from the Library of Congress.